In 1870, the United States Land Office contracted with a professional engineer to survey much of Oklahoma territory. Abner E. Norman, a young surveyor, became chainman of the central survey area in Indian Territory. The surveyor’s crew burned the words “NORMAN’S CAMP” into an elm tree near a watering hole to taunt their younger supervisor. 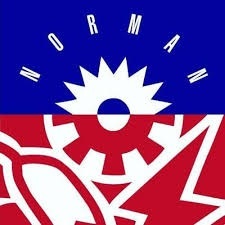 When the “SOONERS” (those who headed west before the official Land Run date, April 22, 1889) and the other settlers arrived in the heart of Oklahoma, they kept the name “NORMAN.” Today, with an estimated 111,357 residents, Norman is the third largest city in the State of Oklahoma.